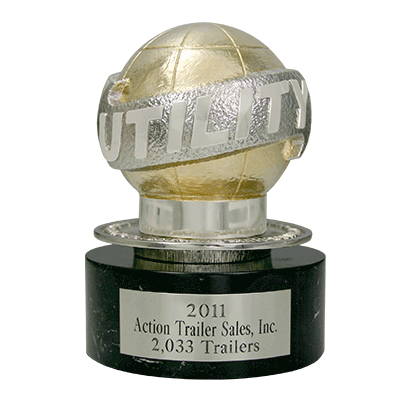 Utility Trailer’s globe logo can be seen from coast to coast. 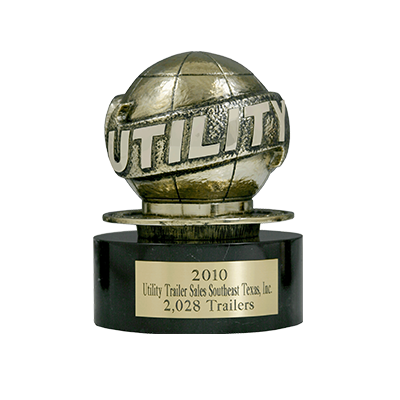 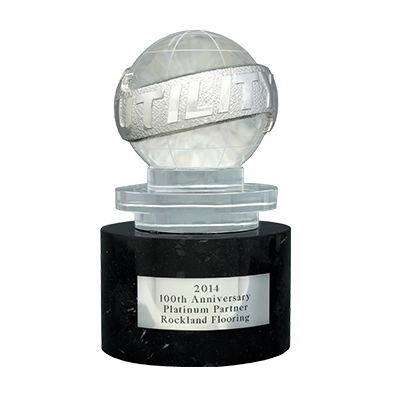 They wanted to bring their logo to life as a custom award to their top dealers. 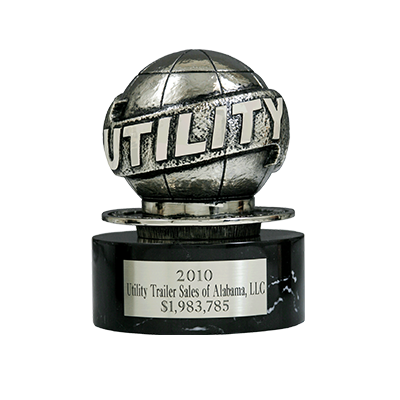 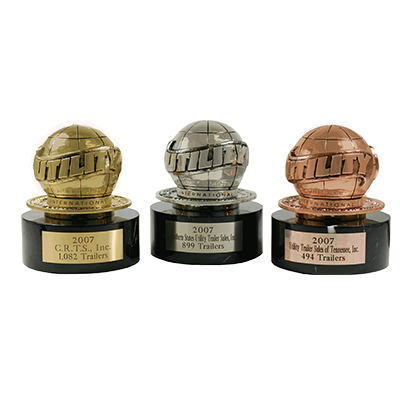 These trophies recognize not just the dealer’s loyalty and excellence but sales ability with several levels of recognition. 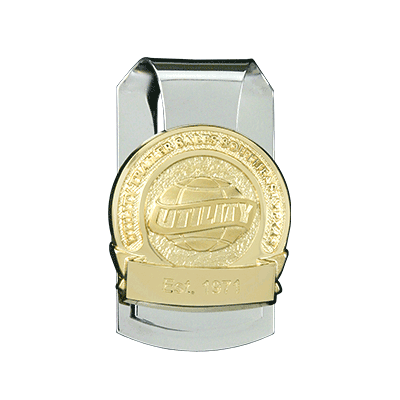 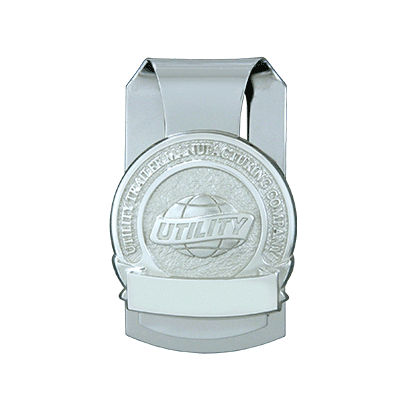 The dealers also have access to the design for individual awards including money clips.